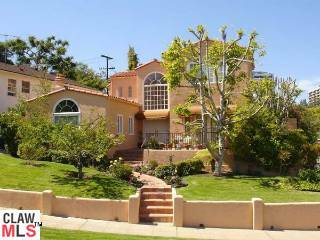 The south of Wilshire home at 10601 Ohio Ave just received a price reduction of 5.56% or $100,000, down to $1,698,000. This property was listed 40 days ago for $1,798,00 and is the first price reduction of the current listing term. The owner had previously listed it for sale back in 2007 for $2,290,000, but after 200 days and 1 price reduction, it did not sell. According to the MLS, the home is a 4 bedroom / 4 bath, 3,925 sq ft of living space on a 8,316 sq ft lot. Sitting on the corner of Ohio and Westholme, the house is right across the street from Fairburn Elementary School.